The last time we heard of Will Powell, he built himself a DIY version of Google’s Project Glass. Will's newest hack? A pair of augmented reality glasses that can display subtitles that translate spoken foreign languages in near-real time. Subtitles are a godsend if you like to watch foreign films but don’t know the language, so imagine if you could talk to someone from another country in real life and have those lifesaving subtitles appear at almost the same time. 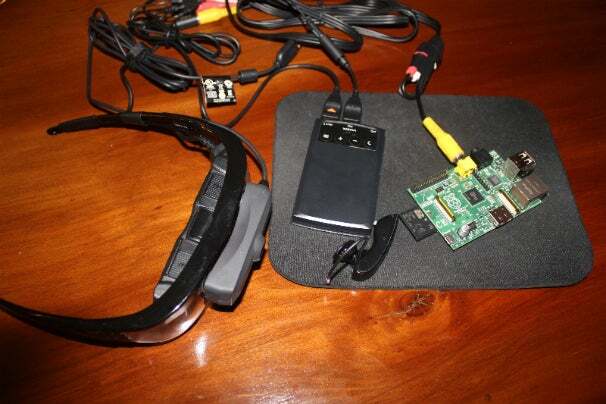 Will used a pair of Vuzix Star 1200 glasses powered by two Raspberry Pis "running Debian squeeze" for the basis of his hack. A Jawbone Bluetooth headset that’s been paired to a smartphone for its noise-canceling ability picks up the audio. The audio is then streamed from the device to a server on the network that parses the dialogue and dictates it into Microsoft’s translation API. The translated messages are piped back through the network to the Raspberry Pi to be displayed on the glasses as text. There’s some noticeable lag, but the homemade system works well enough to allow Powell to converse with a Spanish-speaking friend. Unfortunately, the system probably involves too many connected parts to be a portable system without making the user look like a cyborg. But considering that we’ve already got augmented reality translation apps that work really well with printed and spoken words, it probably wouldn’t be hard to pipe the same information to a heads-up display.